Louise Cohn nee Nathan beloved wife of Steve for 56 years; loving mother of Andrew "Rusty", David (Lisa), James and Audrey (Jon) Levy; devoted Bubbe and Nana of Courtney and Joshua Cohn, Nathan and Abby Cohn, Ethan and Zac Levy; dear sister of Robert (Leslie) Nathan and Richard (Karen) Nathan; adored aunt of 5 nieces. Chapel service, Sunday 2:30 PM at Shalom Memorial Funeral Home, 1700 W. Rand Road, Arlington Heights. Interment Shalom Memorial Park. 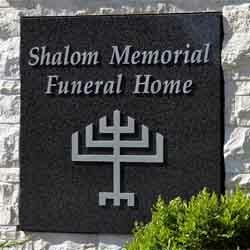 In lieu of flowers, memorials may be made to the Jewish United Fund (JUF) or the charity of your choice. For information or to leave condolences (847) 255-3520 or www.shalom2.com. Louise and I were friends for many years.My maiden name was Merlander. She and Steve were married one year to the date before Michael and I. Louise was a bridesmaid at our wedding along with another friend, Iona Pelzman Dolgin. We unfortunately lost contact with one another but I have long lasting memories of her and her parents. It was fun being friends on the South Side of Chicago. Our condolences go out to Steve and the entire family. So sorry to hear about the passing of Louise. I had seen both Steve & Louise at a Shiva call in July and we exchanged numbers but life got in the way. Prior to that they were both at my husbands funeral which was a testament to how deeply they both care. I know Louise back from when I was a struggling agent at Equitable Life. Her kindness and willing to share her knowledge of "the business" i.e. the dreaded health insurance sale was much appreciated to this newcomer in the business. I think she had a soft spot for women selling insurance. Furthermore I recall the 2nd date with my deceased husband Howard was at Louise & Steve's home in Highland Park for an "Equitable" BBQ. A pretty bold move on my part but as usual Louise's smile and hospitality prevailed. My deepest condolences to the entire family. She spoke with pride about her family over the years. May God remember the soul of Louise N. Cohn who has passed to eternal rest. O God, I pray that you will keep the soul of my dear______________ united with us in the bond of life. In his/her memory, guide me so that I will live righteously, fulfilling Your will and serving our people. May his/her soul rest in peace and be remembered as a blessing. O God, as I remember, Louise N. Cohn I pray that I may emulate all that was good and righteous in his/her life. May his/her soul be given eternal life and his/her memory always remain a comfort and source of inspiration. A link has been broken in the chain that has bound us together, yet strong bonds of home and love hold us each to the other and we give thanks for the blessing of life, of companionship, and of memory.